Can Vitamin K2 Prevent and Cure Gum Disease? Your gums are Vitamin K2 hungry, without it, you may be at risk of gum disease. Heal your gums today with a diet rich in the fat-soluble Vitamin K2. This question always makes my heart drop, because the simple answer, is no: your gums do not grow back. Gum disease (periodontal disease) is a long-term chronic disease. It’s an inflammatory condition that often progresses without response to treatment. While small amounts of gum regeneration may be possible and surgical options are there, the broad answer is that its irreversible. I often wondered why this was the case. Patients would clean their teeth well, yet gum disease would often worsen. It made me think that the cause of gum disease had to go beyond just plaque build-up on teeth. As it turns out, it’s all related to Vitamin K2. In this series, we explored the role of Vitamin K2 inside the teeth. Now we’ll look outside the teeth to see how it can help you prevent gum disease or stop it in its tracks at an early stage. The periodontium refers to the structures that make up your gums. For the most part, once gum disease reaches a certain stage, you cannot regrow your gums or dental bone (withstanding some surgical procedures). That’s why it’s so important to cure the cause of gum disease – not just address the symptoms. Over time, gum disease advances from bleeding gums to loose, infected teeth. The good news is that there may be a way to cure periodontal disease and prevent it progressing to the advanced stages – and that’s all thanks to Vitamin K2. In essence, bleeding gums is a sign of a loss of tolerance between your oral microbiome and immune system. It’s closely connected to your gut health and Vitamin D status, which I’ve outlined in other articles. Vitamin K2 doesn’t work independently to Vitamin D. But in this article, we’ll focus on Vitamin K2. Remember, bleeding gums is the earliest sign of gum disease. As an inflammation-based disease, gum disease signals an imbalanced immune system. Each of these factors are involved in the progression of gum disease. In order to cure gum disease, we should aim to calm the immune system. As the first signs of bleeding gums appear, we need to monitor the intake of Vitamin K2. 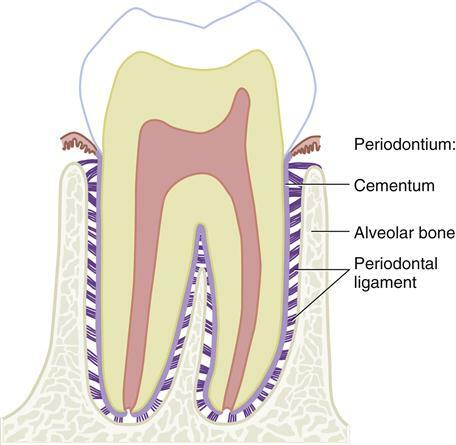 The periodontal ligament (PDL) is what holds your tooth in place. 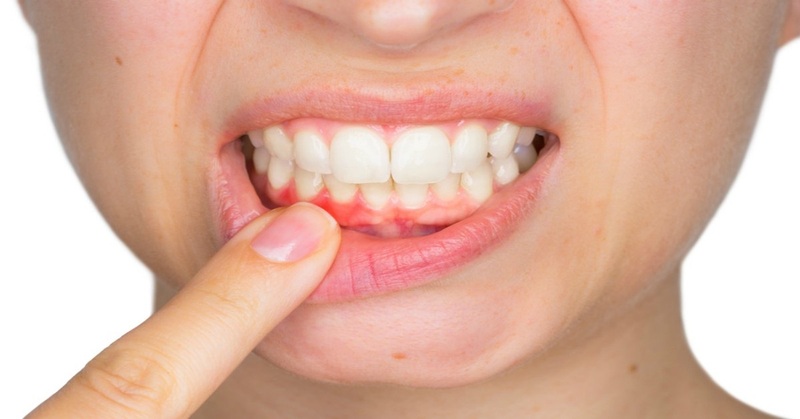 As bleeding gums progress to moderate gum disease, there is damage to the PDL. When the PDL starts to slough away from the tooth, your gums begin to recede. It decreases fibroblasts known to fuel the gum disease process. In the healing process, fibroblasts act to form scar tissue. But in gum disease, their action is harmful and could advance the calcification of periodontal ligament – an early sign of gum disease. It activates Matrix GLA protein: This Vitamin K2 dependent protein has been shown to prevent the calcification of the periodontal ligament. Many studies have shown that Vitamin K2 has the same anti-calcification effects around the body, including in the heart, kidneys and prostate. More research is required to find the direct relationship between Vitamin K2 and periodontal disease. But another class of quinones (COQ10) has demonstrated an anti-inflammatory effect on the gums. COQ10 is a similar fat-soluble nutrient. Both Vitamin K2 and COQ10 have applications to cure and heal gum disease. Your ability to cure gum disease is thanks to the release of Vitamin K2-activated proteins to repair the damage. Gum tissue will release osteocalcin in the presence of inflammation and gum disease and it’s been found in increased levels in the gum fluids present in periodontal disease. Vitamin D is required to synthesize osteocalcin. Vitamin K2 is required to activate it. Osteocalcin is crucial if the body is to heal gum disease. The problem is that if you have Vitamin K2 deficiency, your osteocalcin may be released, but not active. Additionally, osteocalcin also increases insulin sensitivity. Type II diabetes and advanced gum disease share common disease processes that have a common relationship with osteocalcin. Vitamin K2, dental bone loss, and osteoporosis. Vitamin K2 has a critical role in bone loss in both gum disease and osteoporosis. Vitamin K2 inhibits bone loss through resorption by inducing osteoclast apoptosis. The severity of bone loss in gum disease is worse in the presence of osteoporosis. In post-menopausal women, low serum and saliva osteocalcin is related to lower gum disease and bone loss markers. Gingival osteocalcin has been linked to periodontal status, i.e. the body releases osteocalcin in presence of disease. However, in Vitamin K2 deficient patients, these proteins would not be activated, and the disease process progresses, explaining Vitamin K2’s positive role in bone density. Further studies are required to find out the mechanism and direct therapeutic impact of Vitamin K2 in gum disease. Vitamin K2 is a central mediator of all these factors. If you suffer from bleeding gums or are being treated for gum disease, you should eat a diet rich in Vitamin K2 and consider Vitamin K2 supplementation. Have you had gum pocketing or bleeding gums? Did Vitamin K2 help you? which type of vitamin K2 is more applicable to Dental health – MK4 or MK7? I have been supplementing with Vitamin D and K2 for a few weeks now and I have noticed that my gums stopped bleeding while brushing my teeth. I started researching it and came to this article. It makes sense now, so thank you! I believe you that Vit K2 and D3? do what you say. However, I’ve always been told that fat soluble vitamins could be toxic or stored in the liver so I have always avoided all of them. What are the dosages to be taken with fat soluble vitamins? I have the beginning of peridontal disease and just had a deep cleaning. I have no pain and my gums don’t bleed. I had a crown put in that was borderline root canal according to dentist. Noticed slight dulling pain at area where crown was inserted that was persistingly annoying. I discovered vitamin k2 researching brothers’ calcified arteries around heart issue requiring quadruple bypass. He is ok for now. Back to crown I started taking vitamin k2 in a effort to keep arteries clean ..now with a new multi type formula and 2 weeks or so later no more dull pain at crown ..Amazing ..must be the k2. I’ve had a comprehensive stool analysis, my dominant gut flora is Streptococcus parasanguinis, an oral bacteria. It also stated that I would likely be low in Vitamin K (which I forgot till I read this). I have just been told I have moderate periodontitis. I have been taking vitamin d for many years and my teeth have gradually become more sensitive and I also began develop gum problems despite good oral hygiene. I started to take Vitamin K2 (MK7) and didn’t notice much difference. Then I read an article on Vitamin K2 (MK4) a couple of years ago and took that. Wow! There was an improvement within days and after about 4 weeks all sensitivity had gone and has not returned. I am experimenting with finding the lowest effective dose possible to maintain this. Hi Sandra, what was/is your daily dosage & brand? Thanks! I am 76 years old man with excellent health. I do regular exercise and eat healthy food ( zero added sugar and no junk food). I eat lots of fruits, vegetables and lot of nuts plus extra virgin olive oil. I have been able to maintain same weight for the last 46 years. taking 200 mcg K2 MK7 for 2 years and started taking 15000 IU of D3 7 years ago. I have been doing coconut oil pulling for 4 years. I have no teeth pain and no teeth sensitivity. become your patients for long time. Vitamin K2 can help to prevent and cure gum disease, that’s really a great news for us to hear about. I think if one can take all the precautions, they can prevent gum disease. This can be done by taking care of oral health and taking the proteins necessary for the body. Great post! Tips were worth applying.